This device is ultra-lightweight and strong and is easy to operate and maintain. 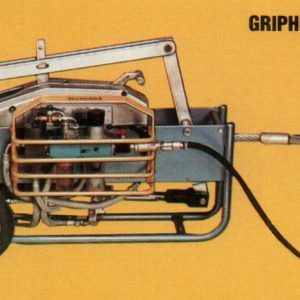 The Pull-All Griphoist can be used in countless applications. PULL-ALL JOCKEY TECH DATA SUPER PULL-ALL TECH DATA INSTRUCTION MANUAL FOR JOCKEY AND SUPER PULL-ALL The PULL-ALL JOCKEY winch-hoist, is easy to operate and very compact. It weighs less than 4 lbs., but can lift 700 lbs. The SUPER PULL-ALL can lift 1,500 lbs. and weighs in at 8 lbs. Both units are furnished complete with 32 foot wire ropes and 2-slings.